This is an ultra-luxury and very unique villa which has been built around an old watermill which serves as an interesting and beautiful feature to the property. 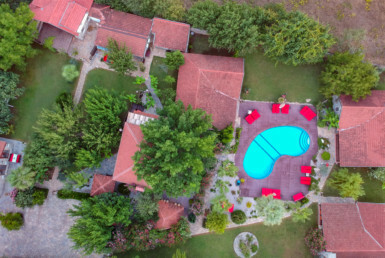 The property is constructed on a large 1600m2 plot and offers the ultimate secluded countryside retreat, yet is only 10 minutes to the world famous exclusive yacht harbour of Gocek. 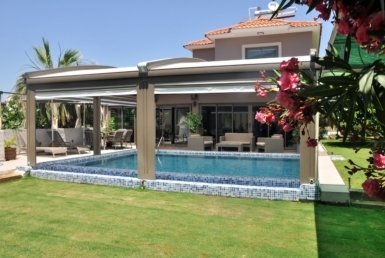 Transport links are good and the International airport of Dalaman is a mere 20 minutes drive to this outstanding property. 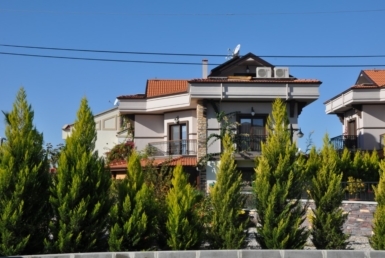 Istanbul is just an hours flight away making it accessible all year round should you wish to use this property as a holiday home or a buy to let investment. Built and constructed by an accomplished architect the property has very high spec details ensuring perfect comfort and design. 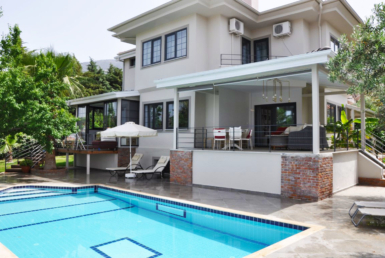 The stunning landscaped gardens are a delight along with the swimming pool, as well as a Japanese garden with flowing water, sauna, and alfresco dining facilities with outdoor seating area with shade. 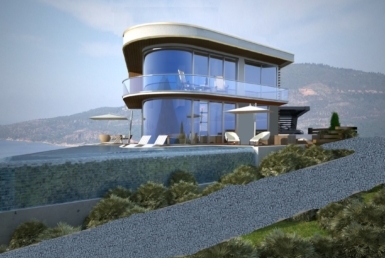 The villa has been built with stone in keeping with its natural surroundings, however, the interior is ultra modern and luxurious, spacious and comfortable, and has everything you need for the perfect home. The historic watermill, more than 200 years old supplies all the water to the property so no need for any water bills to be paid. The modern, spacious and fully fitted top of the range kitchen offers luxury and comes with a half-oven, microwave, fridge/freezer, ice maker, washing machine, and dishwasher. The open plan style leads onto a dining and living area that leads out to the terrace with its natural stone pavements and the stunning gardens. The property has 3 spacious bedrooms and 3 bathrooms, all en-suite with luxury fitted showers and modern bathrooms, all bedrooms have beautiful mountain views. The bedrooms have a complete glass wall offering uninterrupted forest and mountain views and exposing maximum light.One of the double bedrooms also features a Jacuzzi. 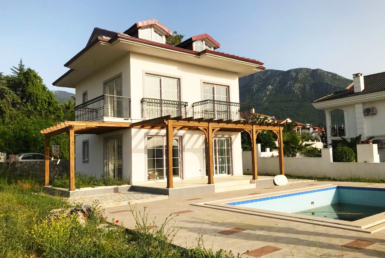 This is a stunning property and offers a complete retreat for those looking for privacy and is to be sold fully furnished; all amenities are on its doorstep with the harbour town of Fethiye just a 20 minute drive.